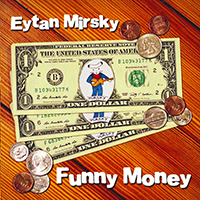 Those who miss power pop’s salad days will likely love the new Eytan Mirsky release entitled Funny Money. While Mirsky wears his influences on his sleeve, Funny Money is in no way derivative. His songs are extremely well written and the hooks are absolutely killer. The disc opens on a Stones infused high note with the bluesy “I’m Gonna Fight It”, thematically setting the table very well for the remaining songs. “Somebody Played a Joke On Me” displays a wry sense of humor in describing the futility of life followed by the similarly themed “You Got It Made”. Lots of songs about universal problems and personal struggles here, all delivered with conviction and carried by infectious melodies. Those who miss The Knack will get a charge out of “I saw Something in You” – Hell, if Mirsky added a cheeky Feiger inflection and a flourish of Burton Averre‘s guitar, you would swear Douggie had found his way back from the afterlife. Finally, I couldn’t help but laugh while listening to the disc’s closing, “Good Hair Day”. 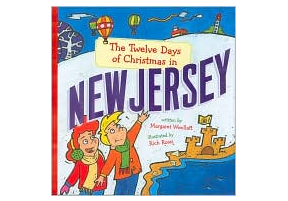 Mirsky’s words remind me of heady times and the tune’s bouncy rhythm is simply irresistible. “Good Hair Day” bought me back to a time when my comb was my sword and my coif, the coup de grace. Then like a woman scorned, my hair just got up and left me. Hopefully, the story won’t end that way for Eytan. There are a dozen tracks in all, nearly all under 3 minutes and every one of them a nugget of pure pop goodness. Its early yet, but this is easily the most enjoyable LP I’ve heard so far in 2016. It ain’t close. I strongly suggest you pick this one up at Kool Kat Musik or get your digital copy HERE.